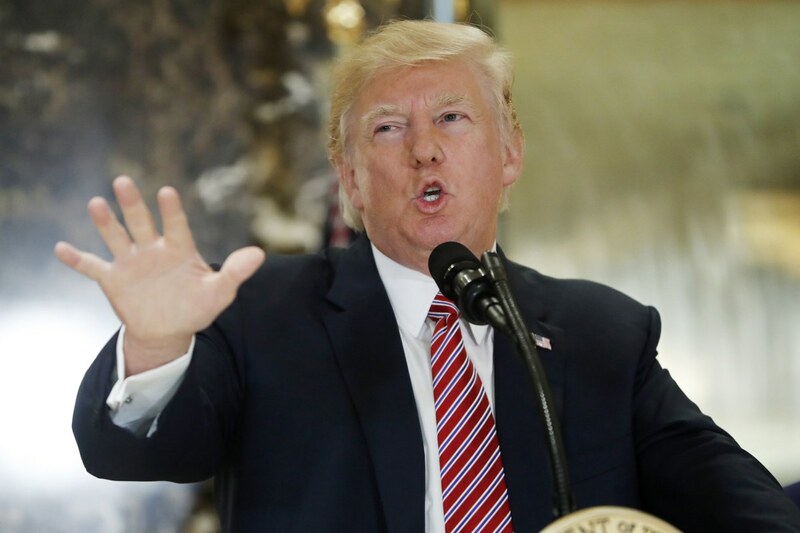 WASHINGTON — President Donald Trump told reporters Tuesday that the counter-protesters demonstrating against white nationalism were also to blame for the violence at race-fueled riots in Charlottesville, Virginia over the weekend. He also said the statue of Confederate Gen. Robert E. Lee in Charlottesville was "very important" to the people who participated in the march, and asked whether opponents of such monuments were also prepared to take down statues to George Washington and Thomas Jefferson because they, too, owned slaves. "I wonder is it George Washington next?" he asked. His remarks double down on his remarks Saturday, threatening to undo any goodwill the president received by denouncing the Ku Klux Klan and neo-Nazis during a statement at the White House on Monday. The president was criticized for what many, including politicians on both sides of the aisle, saw as an initially tepid response in which he said “many sides” were to blame for the violence that killed one woman and injured 19 other people. "You had a group on one side that was bad and you had a group on the other side that was also very violent. Nobody wants to say it, but I will say it right now,” Trump said. Trump said those protesting the white nationalists “came charging with clubs in hands” and repeatedly said they did not have a permit to be there. Former KKK leader David Duke tweeted thanks to Trump for his comments. House Democratic Leader Nancy Pelosi, and other lawmakers, swiftly condemned Trump's comments. --Execution Time: 4/20/2019 5:20:20 AM - 4/20/2019 5:20:20 AM = 0.0781234 sec.